Not quite an M5, this 5 Series nevertheless fully earns its M badge. 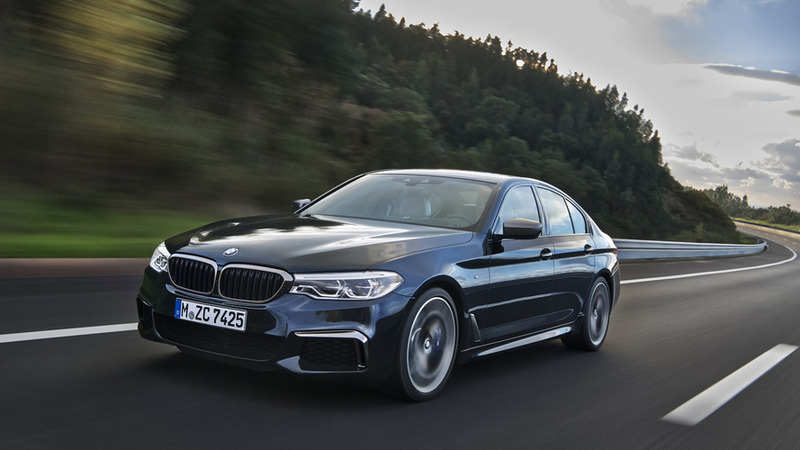 The BMW M550i xDrive is the quickest 5 Series yet. 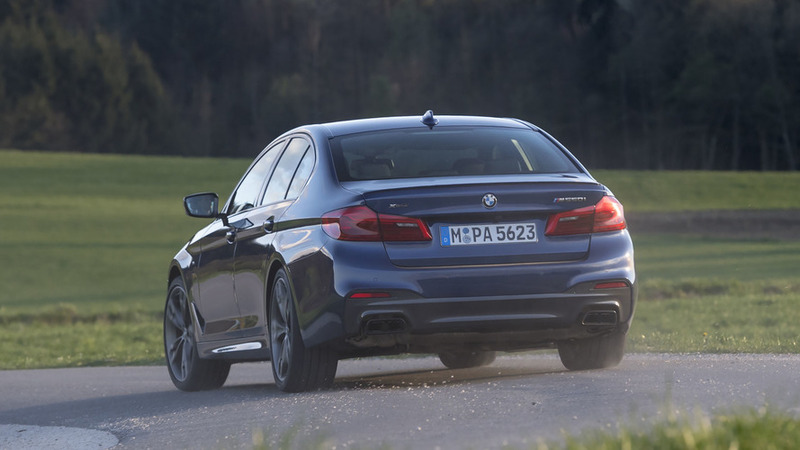 It’s true, the 3.9-second 0-60 time bests every version of the 5er produced to date, including the M5. But that’s the easy headline. Dig deeper, and this is more than just a car that’s great in a sprint. That’s evident on the wet, winding roads of the German Alps, where unseasonable snow and heavy rain is transforming a would-be fast drive into a careful evaluation of available grip from my test car’s winter tires. Indeed, this is a very powerful car, but a scant 0-60 time doesn’t completely tell that story. 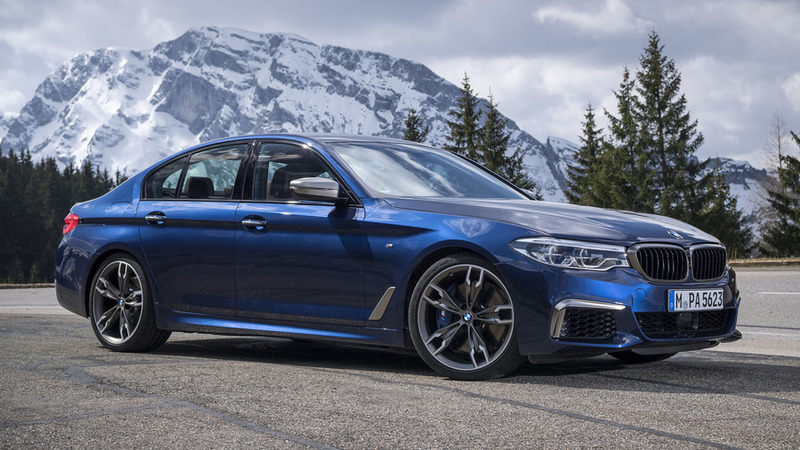 It’s in the specific way the M550i hunkers down and settles coming out of a corner quickly – especially in these less-than-ideal conditions for spirited driving. 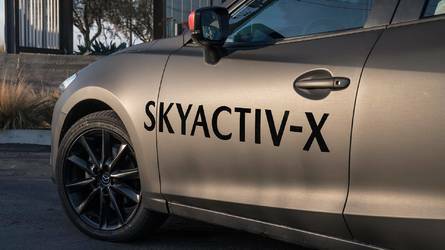 It’s in the way the eight-speed Steptronic automatic transmission pops off shifts so quickly as to make you double-check the spec sheet to confirm that it is not, in fact, a dual-clutch setup. Lastly, and oh so importantly, it’s in the tidal wave of mid-range power that propels you to license-losing speeds before your eyelids remember to blink. This is not an M5. But it is certainly an M car. Full torque thrust hits at a low, low 1,800 rpm, and my god, it feels like it could go on forever. 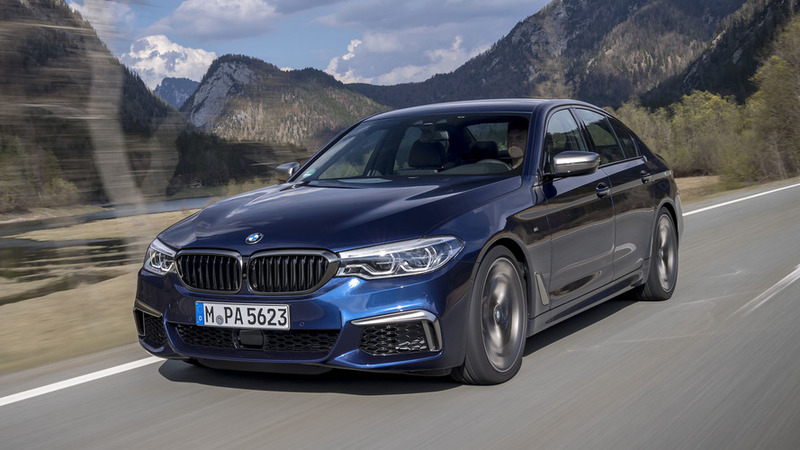 The M550i doesn’t immediately look the part of a high-performance model, all the changes neatly hidden behind the understated and handsome lines of the G30 generation 5 Series. 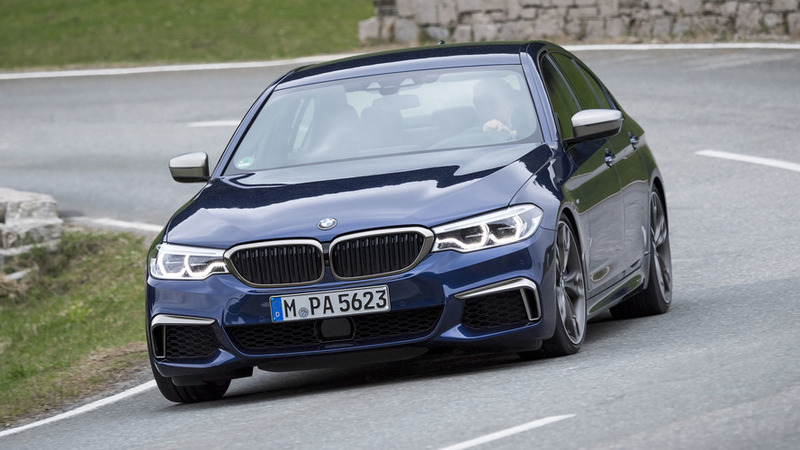 You’ll recognize the M550i by its unique 19- and 20-inch wheel designs, more aggressive front air intakes with satin-finish accents (which, really, I could do without), tiny lip spoiler, and more impressive exhaust outlets nestled in the rear fascia. 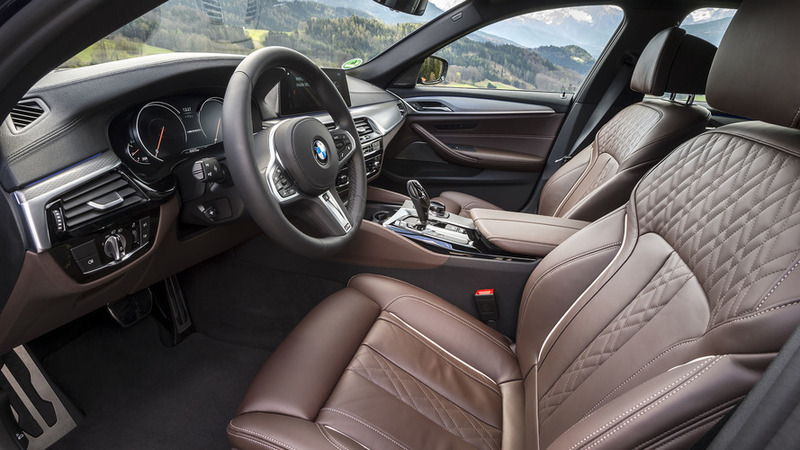 Interior changes are just as minimal, the M550i benefitting from all the same luxurious appointments and world-beating technology as the other 5 Series models. 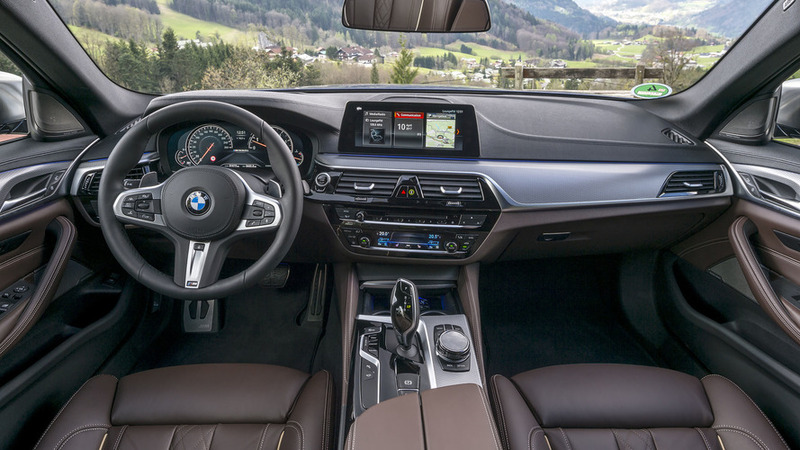 A thicker-rimmed, model-specific steering wheel is the big change for this car, but otherwise, what you see here is exactly what’s available on loaded-up 530i and 540i models. The usual Dakota and Nappa leather upholstery choices are available here, as are popular equipment groups like a $1,200 Executive Package (soft-close doors, ceramic controls, onboard WiFi), $1,200 Luxury Seating Package (multi-contour, massaging seats), $3,600 Dynamic Handling Package (adaptive suspension, rear-wheel steering), and more. Cost of entry into the M550i world is $72,100, though a heavy options list will take that up past $90,000. 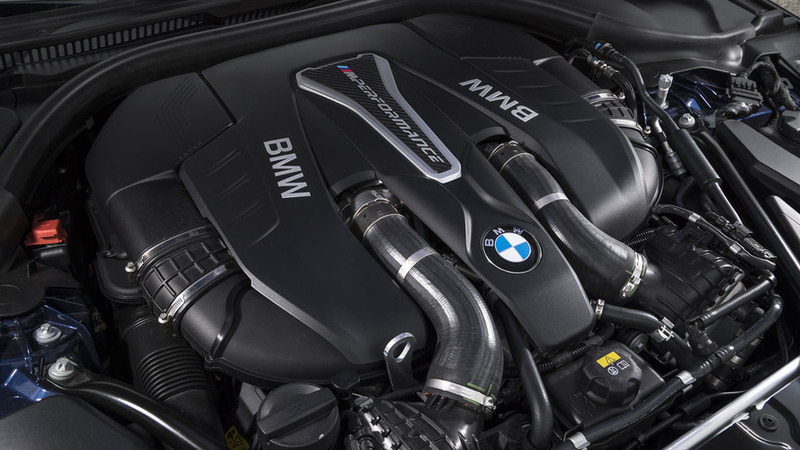 The main selling point is BMW’s 4.4-liter biturbocharged V8 engine – not a new powerplant (the last M5 used a higher-output version of this engine), but one that works flawlessly here in the 5 Series. 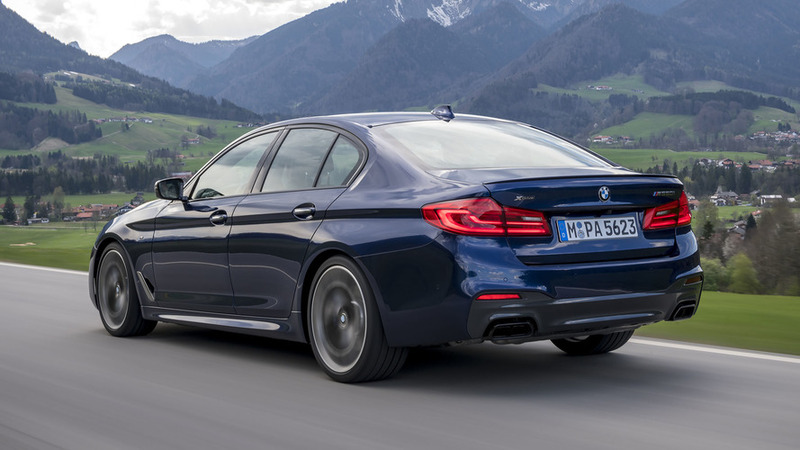 Output numbers of 456 horsepower and 480 pound-feet of torque represent healthy increases over the 335 hp and 332 lb-ft of the 540i, though they ought to be, considering the $13,350 price difference between the two models. Both turbochargers are twin-scroll units that spool up easily, and the result is essentially zero lag from any point in the rev range. Full torque thrust hits at a low, low 1,800 rpm, and my god, it feels like it could go on forever. Alpine roads, smooth autobahn, and narrow city streets alike, the M550i is at home in all scenarios. The M550i has myriad driver-adjustable settings that alter things like steering and throttle response, suspension tune, gauge cluster display, and engine/exhaust volume. As far as I’m concerned, you should only care about two settings: Adaptive and Sport. Adaptive is smart enough to keep the M550i pleasant as a peach when you’re just commuting or running errands, with progressive power delivery, relatively light yet accurate steering, and a comfortable ride quality. Sport turns the burner up to high: the gauge cluster shows speed and gear readouts in big, bold sans serif text, and the car transforms into its most sporting self with better steering response, louder engine and exhaust sound (hashtag fake noise), and a chassis that’s amenable to broken pavement but offers lots of seat-of-the-pants confidence while driving quickly through wet corners. 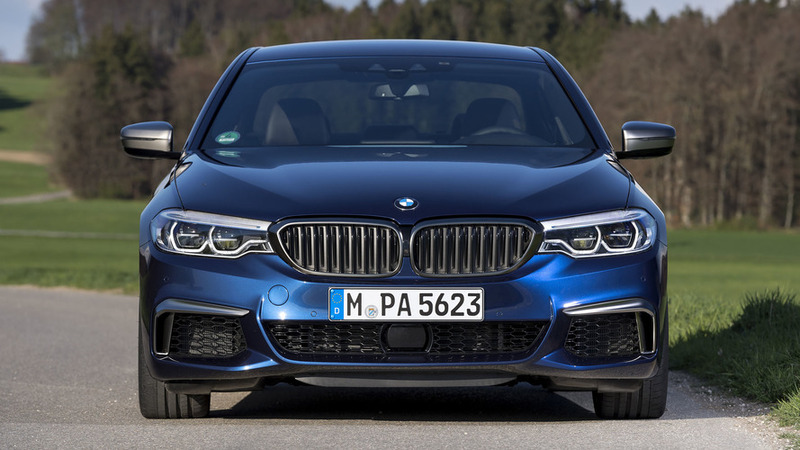 It’s not just the engine’s power that makes the M550i so good to drive, it’s how it moves through the car and out to the wheels. 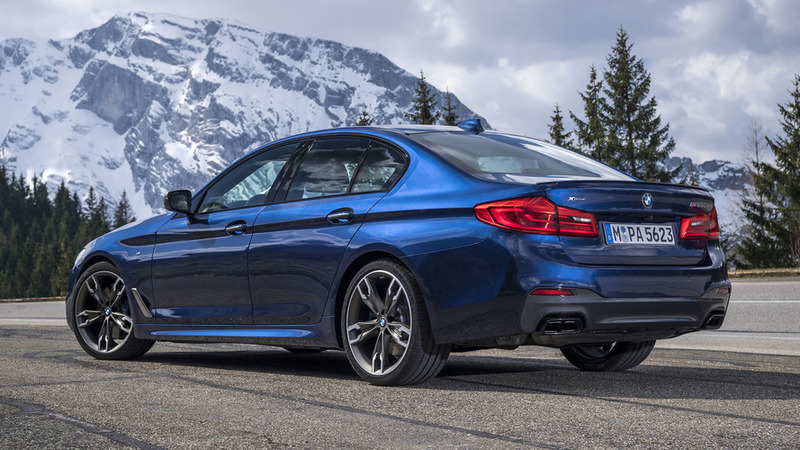 For starters, the xDrive all-wheel-drive system defaults to rear-wheel drive the majority of the time, kicking power up to the front wheels when all the car’s sensors and nannies deem it necessary. 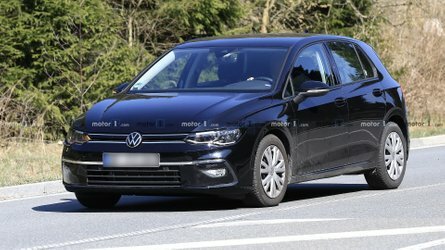 This car genuinely feels rear-drive most of the time, happy to nudge its tail out a little bit during a mid-corner flick, and willing to rotate while I decide to come in a little too hot to a city roundabout. The chassis is so composed, so nicely sorted – it’s really tough to upset the 5’s overall balance. Alpine roads, smooth autobahn, and narrow city streets alike, the M550i is at home in all scenarios. And through all, it’s plush and refined, my seat heater on full blast, Nappa leather side bolsters gripping me tight. 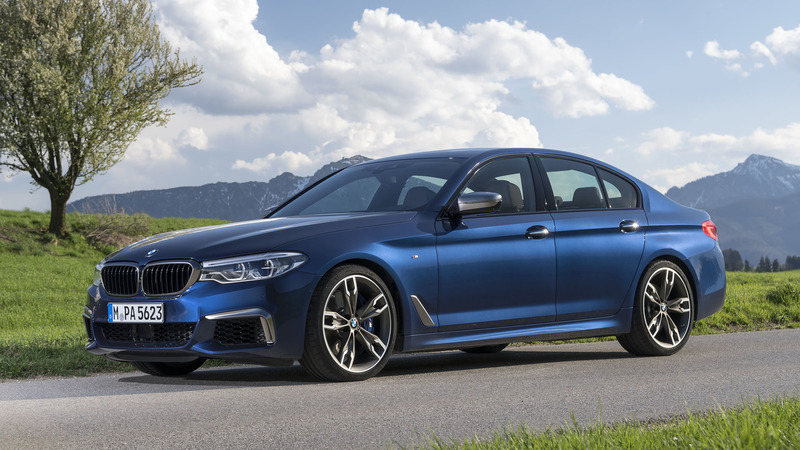 Lots of the M550i’s street cred goes to the eight-speed automatic transmission – a worthy partner for the biturbo V8. 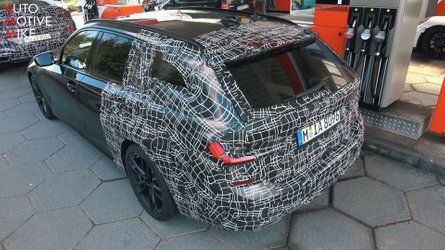 It’s smooth and imperceptible when it needs to be, but quick to react and adaptive to my actions while I’m connecting the dots between bends along winding German backroads. 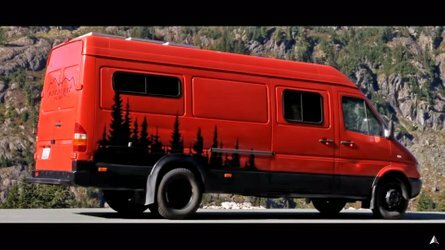 In Sport mode, the shifts are quick, with an assertive grunt from the exhaust as if to respond “sir, yes, sir!” to the transmission’s request for an immediate swap of cog. You can use the steering wheel-mounted paddles to find your own path through the gears, but don’t bother. Left to its own devices, I know the transmission is smarter than I am. 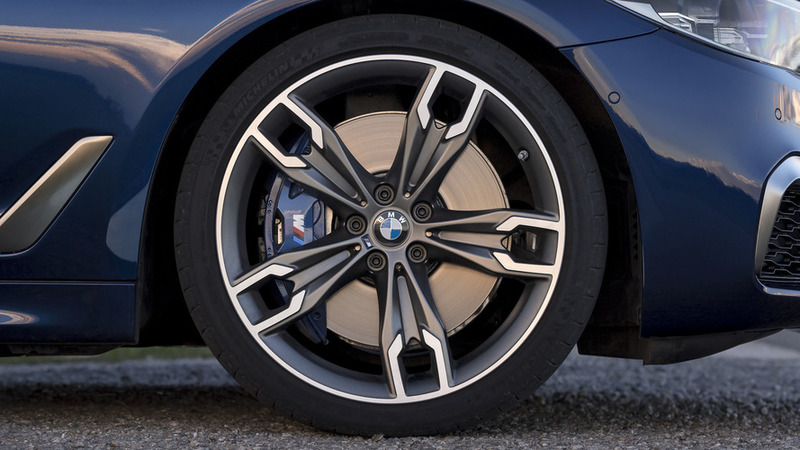 The M550i represents forward progress in the world of good-driving BMWs. But it’s not all fab, this M550i. Like so many modern steering racks – especially from BMW – I’m left wanting more feedback, more communication through the wheel. Sure, the car changes direction quickly and precisely, but there’s a distinct lack of connection between what the front tires are doing and what my hands actually feel. Thumbing through the different drive settings alters the steering experience slightly, but really it just changes weight and effort. 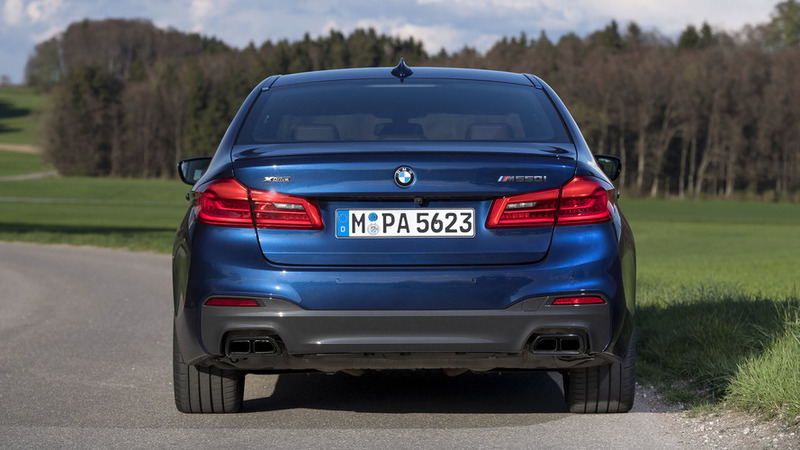 Still, my in-the-moment gut feeling is that the M550i represents forward progress in the world of good-driving BMWs. 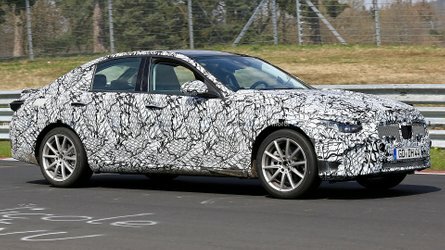 For every step back the company has taken in past years in terms of dynamics (looking at you, M3), this hot 5 Series is a nice step forward. It genuinely feels the part of an M car – a tier above 530i and 540i models in terms of performance, but it genuinely feels special, like an M car should.